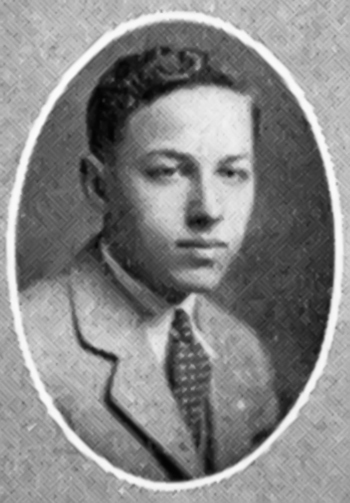 Tennessee Williams in a photo from the University of Missouri, circa 1929. Before he changed his name to Tennessee, young Tom Williams drew upon impressions of the women close to him (his mother, sister and grandmother), as well as female actresses he saw in 1930s movies for the female characters in his plays. By focusing on Williams’ early influences – and obsessions – the Festival showcased how this theme influenced his later work. A world premiere, “The Chorus Girl Plays, “features three short plays — a work from 1935, “Cairo! Shanghai! Bombay!,” and two others, “At Liberty,” and “Curtains for the Gentleman,” written during this period. “The girls in the chorus, whose figures and wits were a means to survive, became, it would seem, Williams’ template of a lady,” Kaplan said, noting that this theme emerged after his close reading of fifteen one-acts by Williams, collected posthumously by editor Thomas Keith and published in “Magic Tower and Other One Act Plays” (New Directions 2011). This female archetype can be seen in the latter Williams’ characters – exemplified by Maggie the Cat in “Cat on a Hot Tin Roof” and Sissy Goforth in “The Milk Train Doesn’t Stop Here Any More” – (both were featured at the Festival). Yet elements of the chorus girls’ personas appear throughout the Williams canon: strong-minded women secure in their sexuality that command the stage with feisty and passionate, worldly-wise spirits. The thread that binds “The Chorus Girl Plays” is a recreation of a bordello, not dissimilar to (according to Kaplan) the bars and bordellos Williams frequented in the East St. Louis neighborhood known for its seedy jazz joints and red light district. Williams, pictured above in a photograph taken circa 1929, was enrolled at the University of Missouri in Columbia. “I asked William Jay Smith [former U.S. poet laureate and longtime Williams friend], when he visited the Festival in 2010, if he knew if Williams had ever frequented these places. Smith told me, yes, Tom had gone there, and often,” Kaplan said. These one-acts are directed by Robert Chevara, a Berlin- and London-based director who has worked on several of Williams’ plays on stages in the States and overseas, in collaboration with choreographer Paula Frasz, artistic director of Danszloop Chicago. There was, though, an unexpected factor Frasz realized once rehearsals began in Chicago last year. Both director Chevara and David Kaplan, who attended the rehearsals, insisted that the women wear period shoes, to authenticate their dance steps. Director Robert Chevara, in a telephone interview from Germany, emphasized that Williams created chorus girls based on women he admired in films. As for casting dancers as actresses, Chevara said he is pleased with how these performers play the dual roles with confidence and professionalism. While he is on tap to direct Williams’ 1969 play, “In the Bar of a Tokyo Hotel” in the West End in London next year, he sees great promise in the playwright’s early works. Robert Israel can be reached at risrael_97@yahoo.com. A previous version of this piece was published in Edge Media Network (Boston). This entry was posted on May 9, 2014 at 9:48 am and is filed under Uncategorized. You can follow any responses to this entry through the RSS 2.0 feed. You can leave a response, or trackback from your own site.